I initially became interested in reading Douglas Wilson’s book Father Hunger for two reasons: 1) I came across an interview with Wilson where he mentioned G.K. Beale’s excellent work We Become Like What We Worship in reference to his work on fathers. 2) I have been realizing recently how much the loss of my father to cancer during my senior year of high school has affected my whole life more than I had imagined. So I jumped at the opportunity to review Father Hunger . The main point of the book is that our culture is suffering from what Wilson calls “father hunger” (i.e. fatherlessness) and it has much more sweeping consequences than we had ever imagined. 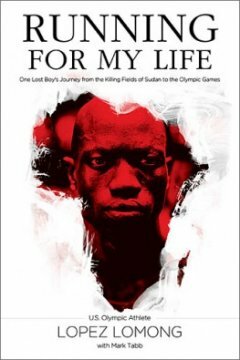 Many of the chapters of the book look at how the absence of fathers (or the absence of fathers actually acting like real fathers) creates destructive effects in our society: in education, government, the church, financially, with regards to feminism, homosexuality, and atheism, and several other areas. 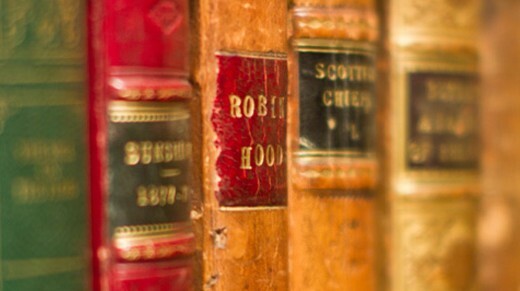 Each of these issues finds their common cause in the lack of biblical fathers in our society. However, Wilson says that the absence of fathers is not the problem, but rather a symptom of the larger problem of forgetting that God is our Father. This is where Beale’s thesis in We Become Like What We Worship shapes the book. Beale unfolds the biblical concept that human beings are essentially worshipping and reflecting beings, and so we in essence will become whatever we worship*. If we worship idols, we will become like the idols we worship (Ps 115:4-8); if we worship the true God, we will be conformed into his image and become like him (2 Cor 3:18). 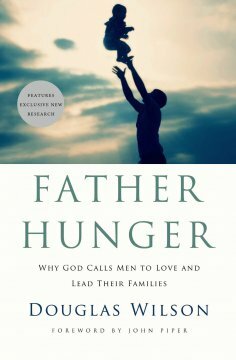 Wilson takes this principle, and shows how it works for fathers: essentially, we have father hunger (fatherlessness) because we don’t fully see God as a father – or we have abandoned God altogether. The way to fix this problem is not to have family seminars, but rather to worship God as he is: Father, Son, and Holy Spirit. I think Wilson makes a great point and gets to the heart of many of the issues in our culture. I appreciate how he makes the issue theocentric, not simply anthropocentric. He addresses the root cause of our societal ills involving fathers and points to the gospel as the solution – which is to be greatly commended. I also appreciate how he demonstrates that the problem is cyclical: because we fail to worship God as Father, we lack a proper understanding of fathers and what they are to look like, and that reflects back upon our view of God. Connected with this idea, his chapter on atheism and how that relates to fatherlessness was also quite interesting and informative. The main issue I had with Wilson in the book was this: although he began the book with this thesis and ended with this theocentric solution to the problem, this main theme was often difficult to find in the chapters in between. I honestly had some difficulty following Wilson as he tended to get sidetracked on various hobbyhorses in certain chapters and often deviated from his thesis. If I wasn’t aware of the thesis and main thrust of the book as a whole, it would have been very easy to get lost in between chapters (and often, in between paragraphs and sections). I have not read anything else by Wilson – so perhaps this is more of his style – but I found it very distracting from the excellent point he was trying to make as a whole in Father Hunger. I wish he had continually come back to God as Father in each and every chapter, and perhaps cut out some of his rabbit trails and leave them for other blog posts, articles, or books. If I could rate the thesis of the book and the actually presentation of that thesis separately, I would give Wilson’s thesis a 5/5, but his presentation a 2.5/5. That is not to say half of his content was bad, but it was simply distracting from the main point (although I do disagree with some of what he said, and found his style of writing a bit harsh/critical and at times too much like a blog post rather than a published book). * Beale’s We Become Like What We Worship was instrumental in my sermon series on The Image of God that I preached at the end of last summer, as well as my sermon series on Idolatry from the fall. I highly recommend his book as it has transformed the way I read scripture in several ways. Note: I received this book free from the publisher through the BookSneeze®.com book review bloggers program. I was not required to write a positive review. The opinions I have expressed are my own.